Did you know that 70% of the 2 million ice hockey sticks sold in the North American market break every year? GreenSportsBlog sure didn’t. At least not before we talked with Randy Langille, Founder of Integral Hockey Stick Repair, and Patrick Demsey, an Integral Hockey franchisee in Los Angeles, about an innovative business at the intersection of Green and Sports. This story starts in 1988, the end of the Wayne Gretzky-Edmonton Oilers dynasty for the puck heads among you. Randy Langille was a fabricator of aircraft components at Blackline Plastics in Sydney, British Columbia, and like most Canadians, also a big hockey fan. His brother-in-law had just come back from Finland, played junior hockey for a time, was not NHL caliber, and started playing in “beer leagues” in BC. 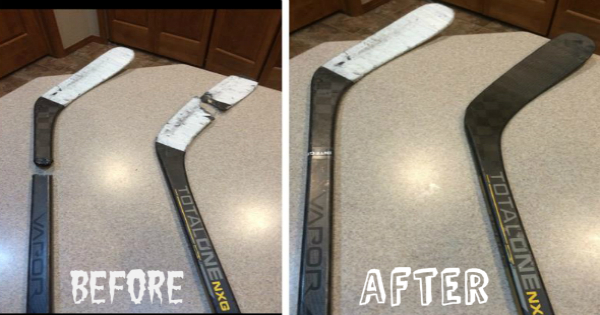 He bought a new hockey stick for $200–and it broke after 45 days–and the warranty was only for 30 days. Since his brother-in-law was, in Randy’s words, a “workin’ stiff”, $200 was (and is) a lot of money. So he brought the stick to Langille to see if he, an expert in composites, could fix it. 2 hours of work for an external repair and–it worked! Randy told his brother-in-law not to tell anyone because it was too much work to fix each stick. Fast forward to 2010. Randy was still tooling around with a stick here and a stick there. It would always take 2 hours to repair. Randy felt there had to be a better way to fix the sticks faster. He thought of a process used in the manufacture of aircraft components that would allow him to repair by applying a hollow carbon fiber inside the stick shaft. Doing so cut the repair process down from 2 hours to 12-15 minutes. His friends loved the repaired sticks. Randy then conducted a test with Alberni Valley Bulldogs, a Junior A club in BC: He fixed all of their broken sticks and then would see if they could be used at that high level of play. 20 sticks were fixed–10 were good, 10 failed. Back to the drawing board Randy went–it took 60 sticks to get the process right. The Bulldogs gave Randy all of their broken sticks. The Oldys Grizzlies of the Alberta Junior Hockey League then sent Randy their sticks for repair, were happy with the results and Randy started to see a business opportunity. 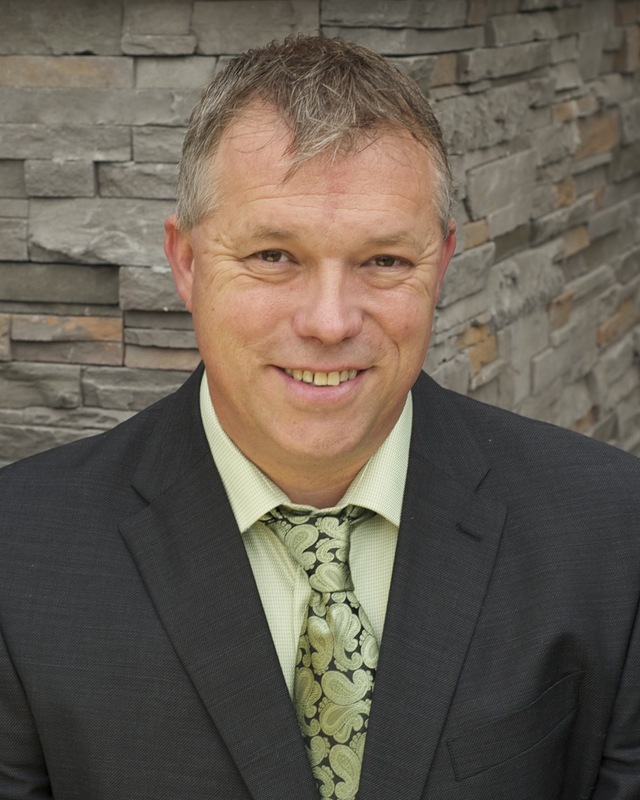 In early 2011 Langille applied for patents on the stick repair process and created a franchise system in which the US and Canada were carved up geographically. Thus, Integral Hockey Stick Repair was born. Franchises, which cost as little as $15,000, are determined by the number of recreational players and hockey rinks in a given region (typically 1,500 players and 5 rinks). Integral Hockey trains the franchisees on its proprietary repair process, provides the tools, and the repair apparatus. There are now 76 Integral Hockey franchisees, with Randy expecting that the business will grow to 200 in the not-too-distant future. 20,000 sticks have been repaired by Integral franchisees thus far. Now, you may ask, what is the green aspect to Integral Hockey? Good question. There are 2 million hockey sticks manufactured for the North American market annually, of which 70% will break each year. Most of those 1.4 million broken sticks are destined for the landfill. The business and environmental benefit (keeping sticks out of landfill) potential are massive for Integral Hockey and its franchisees. Right now, the biggest barrier to scaling the business and maximizing the environmental benefit is, according to Randy, low awareness. An obvious route to build notoriety has been to reach out to the National Hockey League. A few Integral Hockey franchise locations are working with NHL clubs to repair sticks that are, in turn, auctioned off to raise money for the clubs’ favorite charities. But widespread acceptance from the NHL has, in Langille’s words, “been a tough nut to crack. $200-$300 for a new stick is a rounding error to them.” The company hopes that, given the NHL’s strong green pedigree, the powers that be in the league office will see the value of keeping broken sticks out of the landfill and thus the value of working with Integral Hockey. But Langille is not waiting on the NHL to build awareness of Integral Hockey; he is taking part in Canadian Broadcasting Company’s (CBC’s) “Dragon’s Den”, a Canadian version of “Shark Tank”. Randy and other aspiring entrepreneurs pitch their business concepts and products to a panel of Canadian business moguls to try and win designation as the best startup among this season’s contestants. The results will be revealed between now and April 2016 and GreenSportsBlog will be watching and reporting on how Integral Hockey fares.